(StatePoint) People are taking more photos than ever before, of friends, family, vacations and their food. And while they don’t always like to admit it, they are also taking selfies. But with all this emphasis on taking photos, you’d think that people would pay more attention to how they store and enjoy their memories for later. Unfortunately, in the age of social media, our photos are often experienced in a fleeting way. Consider the following tips for making your memories last longer. • Back up your data. Consider applying settings to your mobile device that immediately back up your photos to your computer and to the cloud. In the event your device is lost, stolen or malfunctioning, you won’t lose your memories on top of the logistical headache and financial expense of replacing or repairing your hardware. • Sort your files. Most programs will sort your images by date. You may also wish to tag your images and use thematic folders for better organization. e. This will help you find exactly what you’re looking for when the time comes to create that slideshow or craft that scrapbook. • Share your images. Share your images in a beautiful slideshow presentation. New features on today’s projectors make it a snap. For example, MobiShow, a feature of Casio’s LampFree Slim projectors, enables users to make presentations wirelessly via any smartphone, computer or mobile device equipped with wireless LAN capabilities. The XJ-A257 for example, weighs five pounds, making it a great portable projector and an easy way to share your images any time. • Print them out. When is the last time you actually printed an image you took on a mobile device? These days, it’s easier and quicker than ever before to print your favorite photos. 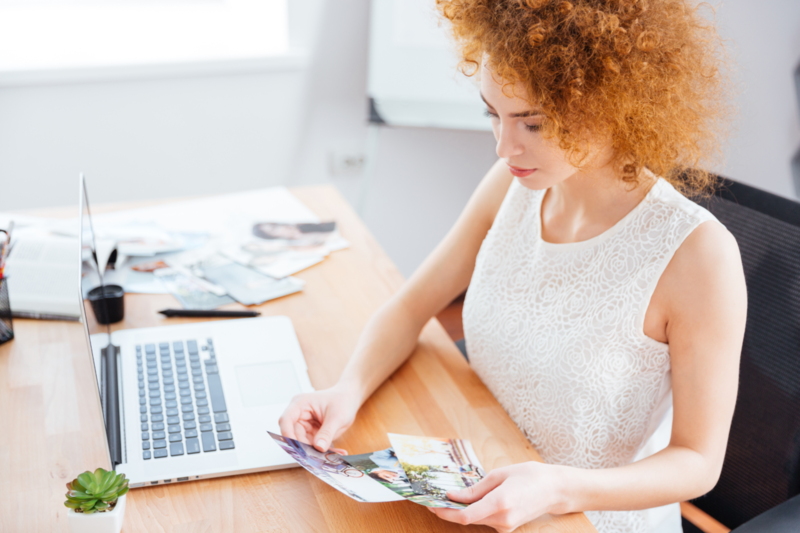 Many retailers make it convenient to send a digital collection of photos to be quickly processed into standard prints and keepsakes like mugs, calendars and apparel. In a time when photography permeates all that we do, don’t forget to store your images safely and to take the time to enjoy them.